At Three Sixty, it’s not just about selling real estate. The company was founded on a pledge to serve its community and always looks for new ways to give back. Team members April Coulter, Michy Aja and Tonya Tyson exemplify these traits, from April and Michy’s husbands who serve actively in the United States military and Tonya’s experience in Nursing to the excellent service all three of these ladies strive to provide each and every client. Three Sixty is proud to announce an affiliate partnership with Homes for Heroes, Inc., an organization inspired by the tragic events of 9/11. Homes for Heroes was founded in Minneapolis, MN at the beginning of 2002. In 2009, it grew to become a national organization that has since helped over 14,500 heroes and has given back over $22,000,000. Heroes include firefighters, law enforcement, military (active, reserves and veterans), healthcare and EMS workers and teachers. 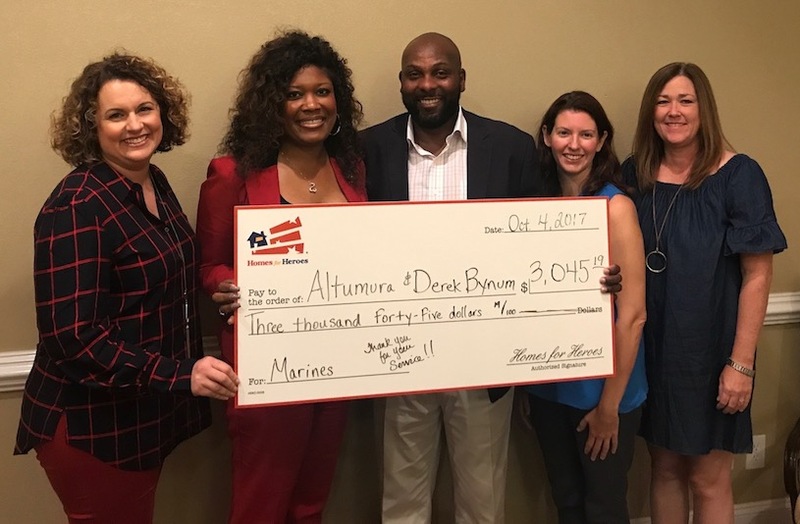 Homes for Heroes is comprised of affiliate real estate and lending specialists across the country, along with local and national businesses committed to providing Hero Rewards, which are easy ways for heroes to save significant money on a home; and when they make every day home-related purchases. When working with Homes for Heroes real estate and lending specialists specifically, heroes are able to receive significant savings when they buy, sell or refinance a home. 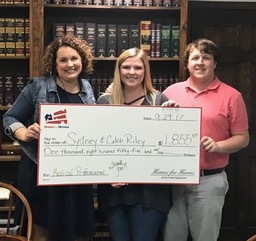 The program has already begun, as these Three Sixty REALTORS® have closed on two homes with Clients who both received substantial savings on their home purchase.